* Do not forget to bring swimming suit, towel, and sandals. 7:30 pickup from Jerusalem, from Tel Aviv it is better to start earlier, but your wish is my command and we can start when ever you are ready. Our 2 goals are 1- climb Masada and understand its myth and 2- swim in the Dead Sea, and have a mud wrap. But we can do much more; it depends on your pace and what you want to see. If you want to experience the Dead Sea natural minerals, which our famous since Biblical time (ask Queen Cleopatra or King Herod) you better spend few nights in one of the many hotels, or at least half day in our tour, but if you want to see more we have lots of sites to offer. 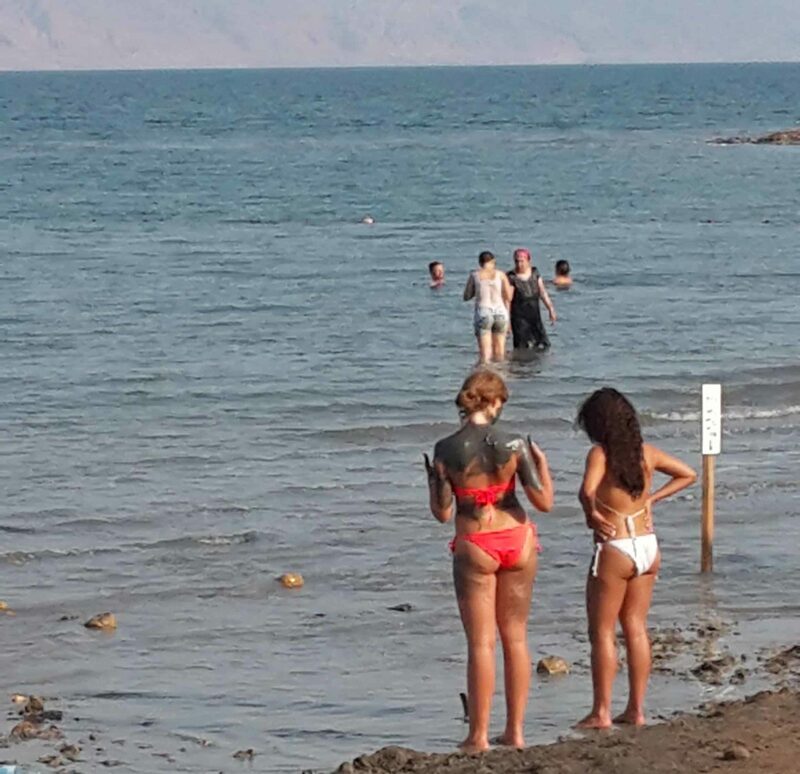 2 main options for the Dead Sea experience either in the natural beaches on the North basin which are natural and you can dig you own mud from the Sea or the hotel beaches on the Southern basin which are manmade and you can not see the mud, you need to buy it. The Dead Sea is dying because of natural process states 15,000 years ago, but in the last 60 years was speed up because of us. North basin is going down and the South basin is rising up due to the water which is pumped from the North basin for the Chemical plant. Masada is a unique mountain over looking the Dead Sea which was inhabits since begging of time, but it was a Hasmonean, probably king Alexander Yanai who build a castle on top of this mountain around the year 100 BC. King Herod killed all Hasmonean including his wife and build Masada as it look today between 37-4 Bc. 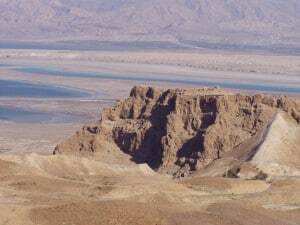 But the fame of Masada is the story happened in Pesach 73 ad when the Jewish Zealots prefer to suicide and die as free men and not to become slaves of the Roma. We can start our tour saying farewell to Jerusalem from Mt of Olives as well to see that the eastern out skirt of Jerusalem is a desert – the Judean Desert, due to the phenomena “Rain Shadow”. On our way we can see the Scapegoat Mountain where in Biblical time the Scapegoat was sacrificed.